SYNOPSIS: It’s 1969, and while the summer of love lingers in London, Gilda is consumed by the mistakes of her past. She walked out on her beloved son Reuben when he was just a boy and fears he’ll never forgive her. When Reuben marries a petite blonde gentile, Gilda takes it as the ultimate rejection. Her cold, distant son seems transformed by love – a love she’s craved his entire adult life. What does his new wife have that she doesn’t? And how far will she go to find out? It’s an obsession that will bring shocking truths about the past to light . . . Bitter is a really strange book. When I read it, I initially disliked Gilda intensely. She is nasty and cruel and reminded me of someone, and I didn’t like how obsessed she was with her son. Like really, it is unhealthy. She is not a likeable character at all. And yet she is the main character of the book and we need to follow her story, and as we do, we slowly learn more about her. Gilda has a fantastic friend she treats like dirt but who loves her enough to stick around, though why anyone would put up with that for as long is beyond me. Then there is her obsession with her son and jealousy of his wife. It is pretty intense when a mother cannot see her son (child) as an individual, something more than just a title, a person who has hopes and dreams, but instead has a concept for them that they must adhere to, but still insists that they know their child better than anyone. Anyway, let me not get caught up in that. It really seems that Gilda needs some serious mental health help, and the book goes on to show you the disturbing things she does, and as it does so, you learn more about her, that ultimately you can understand how Gilda got to the place she is in life, and you really hope that she will be able to overcome it. Bitter is not an easy read, though it reads fast. It is a decent one, one I am glad that I read. 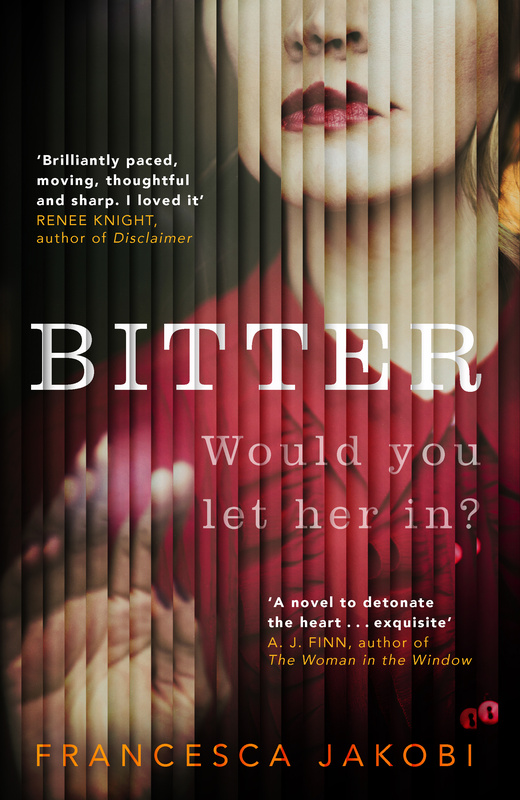 I could definitely recommend Bitter to anyone interested in darker books that are more of a character study. This entry was posted in Books and tagged book reviews, books, drama, Netgalley. Bookmark the permalink.